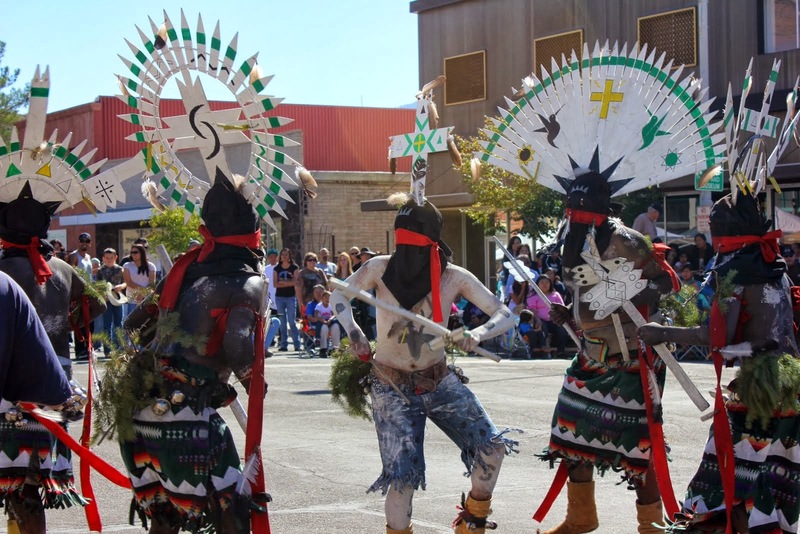 The most popular tale of the Hopi is the tale of the returning 'Blue Star Kachina' to the Plaza. To mark the beginning of the '5th World'. Some call it the 'Red Star Kachina', Ahkima believes that it the 'Yellow Star Kachina'. And that the 'Blue Star Kachina' was Hale Bopp. As I've written before, every Hopi Tale is connected, just told a little different from each Clan. That's why you have the three different colors of the Returning Kachina. Thereof the four colors of Corn given the Hopi by the "Gods", for their migration throughout the World. (Hopi Corn will grow in any soil condition, unlike any other Corn.) Been trying to figure out the connection of the returning Kachina, now that I know and the Hopi knew. The Earth was Flat and Four Squared. And that the Native American Space Brothers is just more planted propaganda by the 'powers'. Just more propaganda planted into the Native American youth, until they believe the tale themselves. Trying to drive even the Native Americans away from their traditional teachings. That mankind is no more that a fluke of nature. Born from nothing, during the 'Big Bang' (theory). While all ancient Native American tales are very similar to other ancient tales (Hindu, Mayan, Christian, etc.). Of how the Earth mankind lives in today, was created for mankind to develop Spiritually. Not some fluke with no future only death to look forward too. Everyone's Genesis tale has the same beginning, 'Still Waters'. No arrival of "Aliens" from Space, no Space Brothers. Only a "God" who created everything you ever needed right here on Mother Earth. 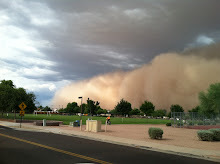 Shelter, Food, Medicines, everything for human survival. Their will be no Kachina Space Brother arriving from somewhere in outer space to the 'Plaza'. Your Blue Star, Yellow Star or Red Star Kachina will arrive from within the Dome mankind lives under. For the Kachina is a Star, in the night skies. The Mayans speak of the death of 400 Boys who became Stars in a constellation in the night sky. The Hopi knew where they lived, all the ancients knew just where they lived. The Hopi along with all the other ancient societies knew that life here on Mother Earth had a much bigger meaning than the one being taught the children in the school systems today. The child being taught he isn't a man or a woman, bad is good, night is day. Everything to confuse the child's Spiritual development. In a much bigger plan of Mind Control of the masses by an elite few. Even the Native American tales have been distorted. The Christian bible talks nowhere of a Ball Earth and Universe, but quite the opposite. Yet most Christian will fight with you tooth and nail over the fact they live on a Spinning Ball!!! Tell most Hopi that they live on a Four Squared Flat Earth, they will laugh in your face. 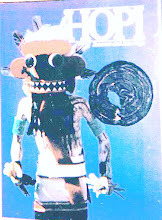 Since childhood the Hopi has been presented nothing but a Ball Earth and Universe. Even though their is nothing in the Hopi child's past tales, that would suggest anything but a Flat Earth. But the Hopi like the rest of the World's population have been denied knowing exactly where they fit in "Time". Being told of the spinning ball Earth and Universe. Keeping Chaos as the main controlling factor for the 'powers'. I've make a 3 Flat Earth vids using the Hopi rez as an example for a reason. Mixing it in with other Hopi videos to help the Hopi youth find their way back Home. Back Home to their roots and thus helping mankind awake or advance. 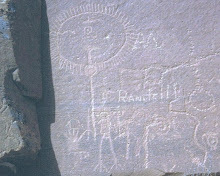 For no one seems to get more respect than the Hopi when it comes to ancient tales. But the Hopi have been mislead themselves. By promises by the 'powers' of better things to come. When in reality, now more than ever. 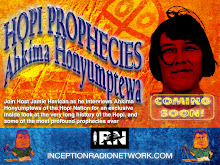 The Hopi need to help lead the World back to where they came from. And that place is not, 'Nothing'. The arrival of the 'Blue Star Kachina' will be from within. And not from some far off distant planet the 'powers' have put into everyone's heads today. For all of mankind is from the same source "God", here on the Flat Earth. No reason to be taught to hate one another over simple differences. No reason for thousands of different types of religions, that only create division and hate. Because that was what religions were created for. Taking ancient tales of the Stars, distorting the tale amongst the masses and divide them. Astrotheology tuned into religions for only one purpose, division amongst the masses. Visited the Hopi Kachina Carvers at the Heard Museum yesterday for the annual gathering of Hopi Kachina carvers. (vid) https://www.youtube.com/watch?v=AeDL-jImjZU (Talked to some old Hopi buds and will have some interviews lined up for this summer's trip to Hopi.) The crowds keep getting smaller and smaller each year. With less and less Hopi Carvers selling their Kachina Dolls. The main reason is the dying of the Baby Boomers generation. They seem to be the one's that mainly cared for the Hopi ancient ways, like myself. They (Baby Boomers) have the money and were more than willing to share their dollars with the Hopi Carvers. And even yesterday, you only saw Baby Boomers spending their hard earned cash on the Hopi Dolls. No 30s or 40s something, putting down their cash. Their was a "Time" in this country when the country cared about the past history of the Native Americans. Those days have been destroyed by the 'powers' media. In a World of 'selfies'. With the media being used to destroy American values for the Native American past. The NWO wants no memories left of the Genocide of millions of Native Americans. Just as was done during WWl and WWII to millions of Whites in Europe. Killing past history and writing it the way the 'powers' want it to be. The Cats with the Biggest Guys always, 'Write History'. Funny, I just finished emailing Ahkima something important, hope its still the same address that you posted. The blue star is definitely real, but is hasn't left the ground yet. Looks like they soon he will try to take the seat and ascend to the heavens. Just remember last time the milk way split, water came down. If there's no more water up there, then what's left? The star is of warning, not of hope.